Happy Saturday y’all! 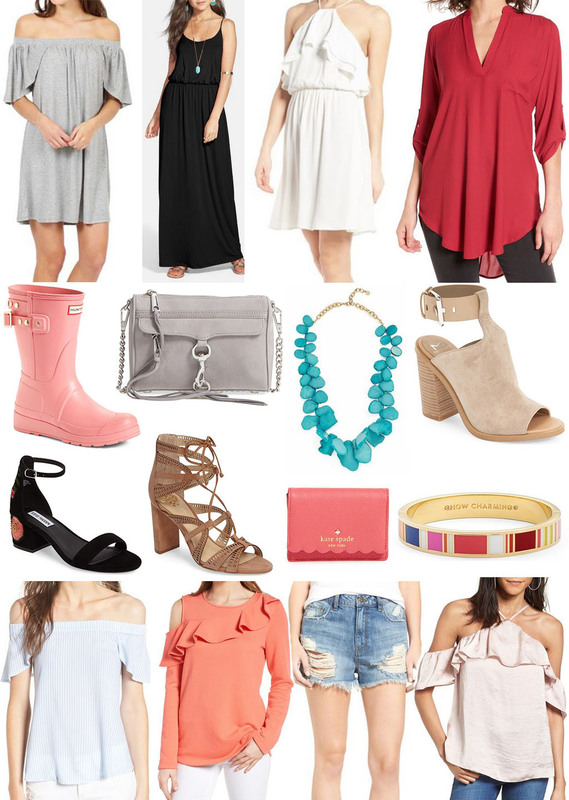 The Nordstrom Winter Sale is going on now through February 26 & I wanted to quickly share some of my top picks for spring before I head off to the first parade of the Mardi Gras season here. (follow on snapchat – gardner.amyc for all of the fun!) So, without further ado, here they are! 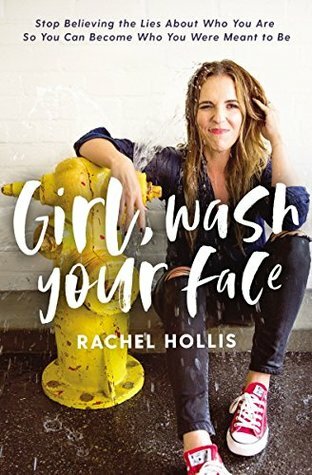 Valentine’s Day (or Galentine’s!) is right around the corner! I’m starting my weekend tomorrow with a girl’s dinner with one of my besties. She recently moved back to town, so I’m enjoying getting to spend some quality girl-time with her! Patrick & I are going to celebrate Valentine’s a little early this year with a dinner out on Saturday night. I have the prettiest red & black lace ML Monique Lhuillier dress coming from Rent the Runway, & Patrick is surprising me with our dinner plans. 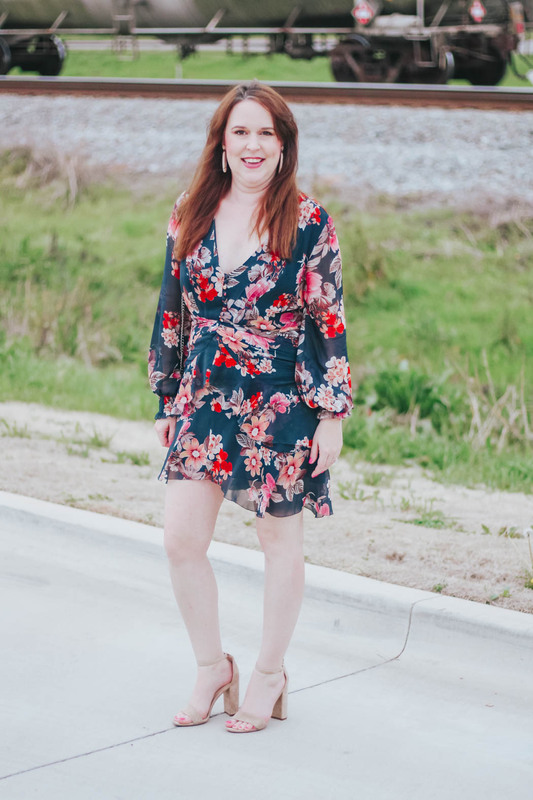 I love using Rent the Runway for Valentine’s day & my birthday (really just about any excuse), it makes the night feel just a little more special when you’re in a gorgeous new dress! 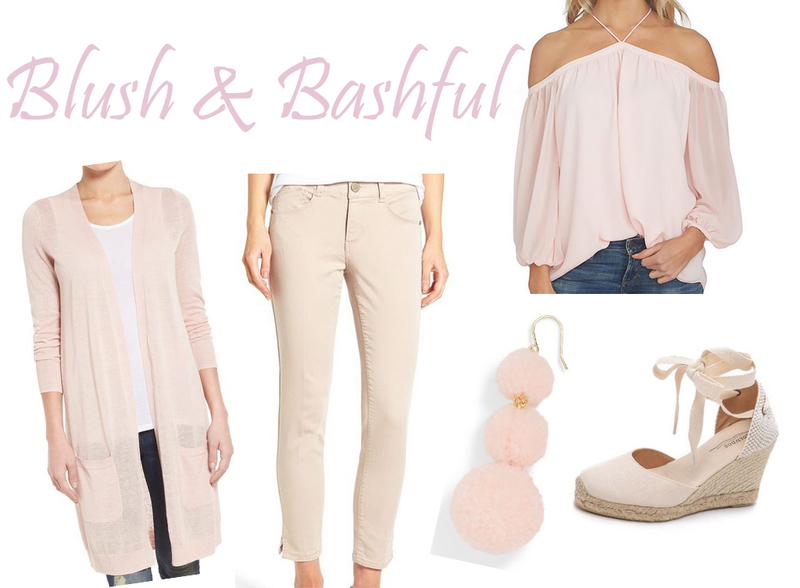 It’s no secret that pink is my favorite color, so Valentine’s day is just another excuse to don the color head-to-toe. 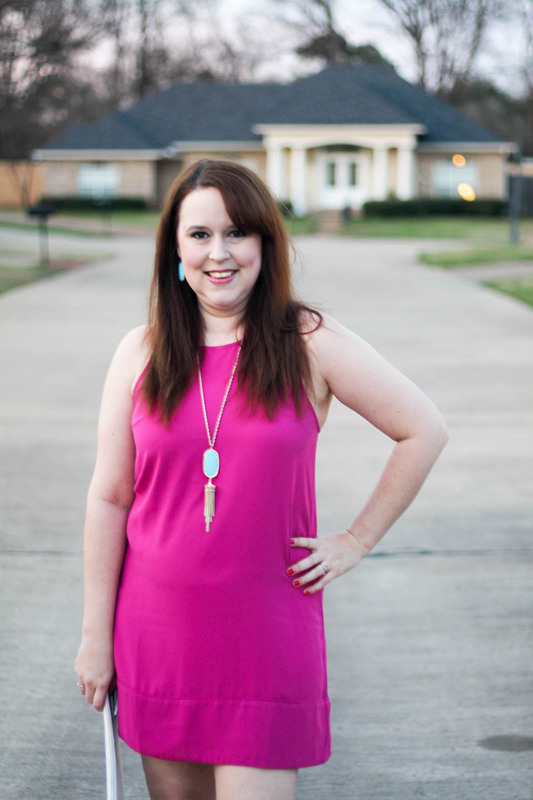 This racerback dress is one of my favorites & I also have it in black. It’s the perfect spring/summer dress. I wear it with a cardigan or jacket for work, then on its own for after work drinks. 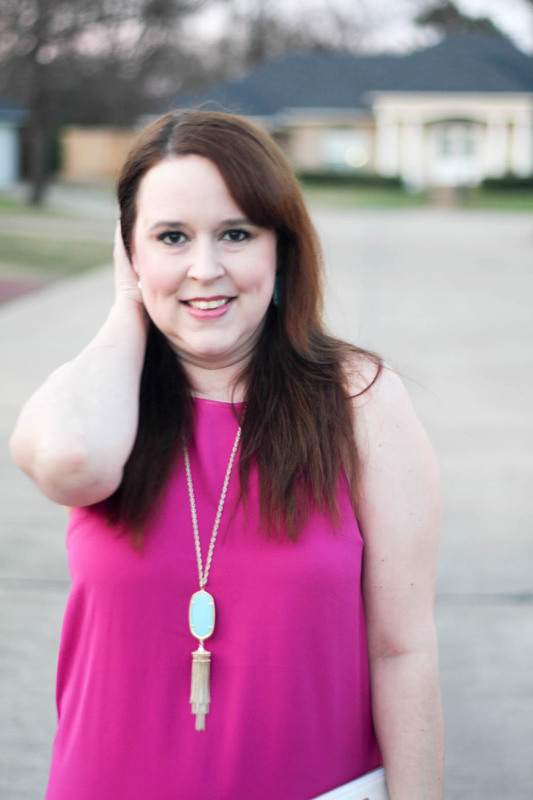 It’s such a simple dress, but so easy to jazz up with fun accessories, like these Kendra Scott earrings & necklace. 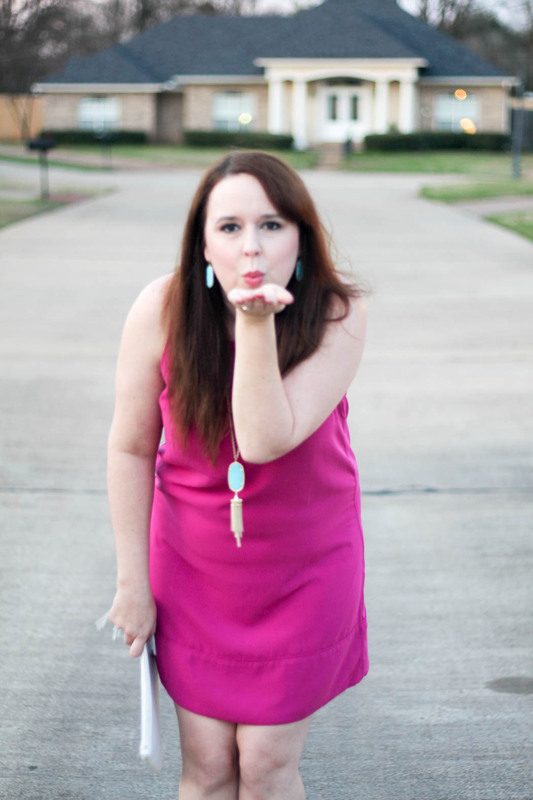 I know that all over pink isn’t for everyone, so a classic LBD with some pink or red accents (think bag, jewelry, shoes) is another great option! Many of the dresses I’ve linked below come in several colors if pink isn’t for you. 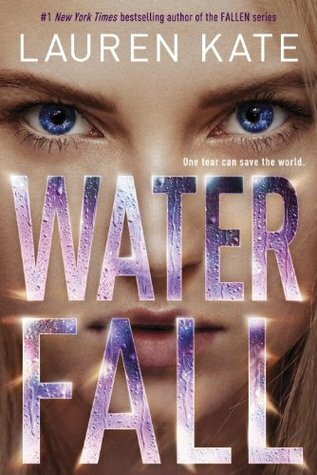 I’m really loving this one! There is no denying that fall is my favorite season – the cozy sweaters, hot cocoa, & roaring fires – what’s not to love? 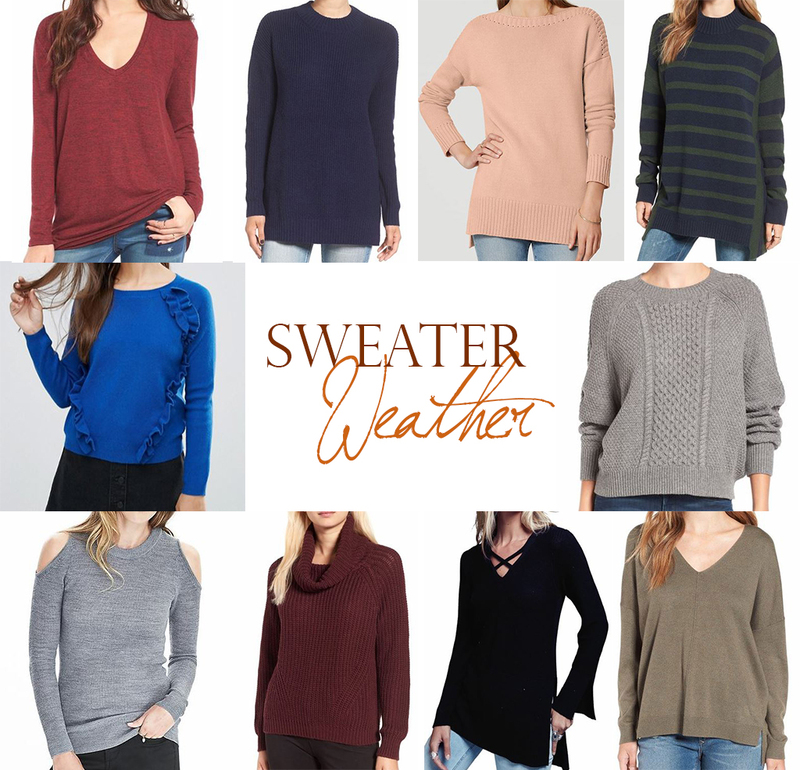 Because of the cooler temperatures, I’ve rounded up some of my favorite fall sweaters today. This Leith V-Neck has been on repeat, as evidenced by my instagram, & is one of the softest sweaters that I own. I just ordered it in a pretty rust color too. The BP Stripe Pullover is on my wishlist & it’s selling fast! The days are getting shorter & the mornings are finally getting cooler, so it looks like fall may actually be on the way! Fall is my favorite season & I look forward the sweaters, fires, hot cocoa, & holidays every year. 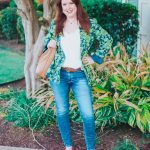 I picked up a lot of new fall fashion during the Nordstrom sale, but don’t panic if you missed it! There are still tons of good deals on fall styles available. I’ve linked up some of my favorites above. I have the BP sweater in two colors & am trying to stop myself from ordering more. It runs large, so I recommend sizing down (I typically wear a medium top, but have the sweater in small). Bell sleeves & lace-up shoes aren’t going anywhere, & can be easily transitioned for fall with darker colors. A plaid blanket scarf & khaki trench will never go out of style. 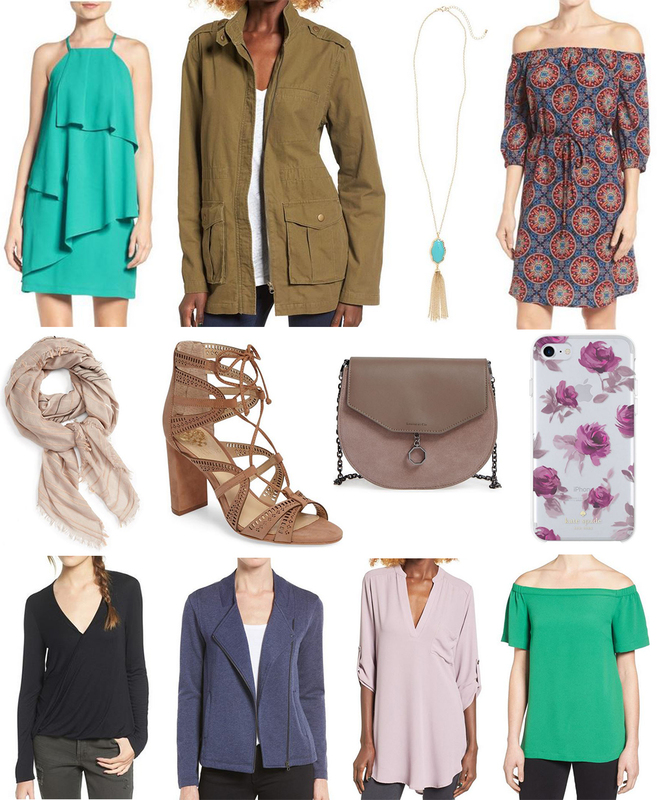 It’s the day we’ve been waiting for – the start of the annual Nordstrom Anniversay Sale! Seriously though, I look forward to this sale way more than Black Friday. Nordstrom cardholders can access the sale now & it opens to everyone else on July 22! I got up early this morning, with my shopping list in hand, to snag some pieces that I knew would go quickly. 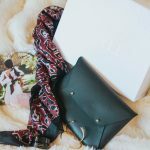 There are some amazing deals this year, and as promised, I’ve rounded up what’s in my cart & what’s on my wishlist! 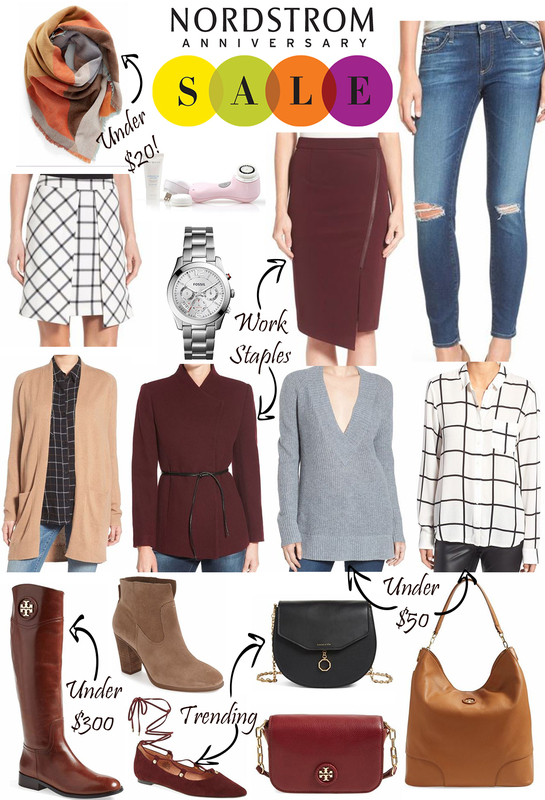 This sale is the perfect time to stock up on fall staples or splurge on something you’ve been eyeing. I picked up some work staples in rich berry colors, like this skirt and coat from Halogen. 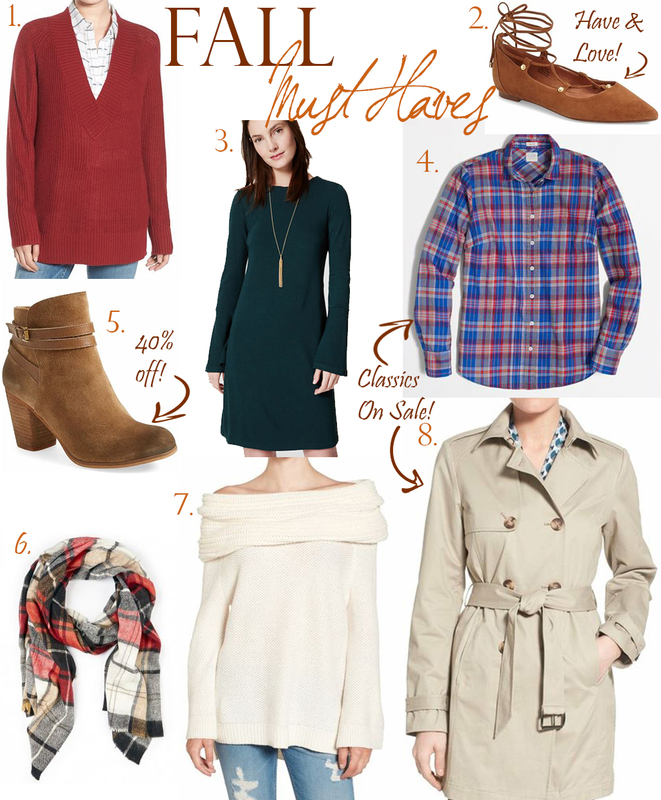 It’s a great time to get blanket scarves for fall layering, some for under $20. I also stocked up on some comfy sweaters, like this cardigan & this pullover from BP. 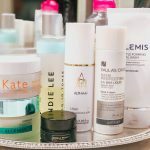 After debating for months, I’ve decided to take the plunge & try the Clarisonic Mia while it’s $40 off. Tory Burch riding boots are marked down by almost $200 & bags are also at a steep discount. I am loving this luggage brown hobo bag for fall & this Louise et Cie bag is a great dupe for the pricey Chloe one. AG jeans are my absolute favorite brand because they fit so perfectly & are great quality. I always snag them when I find them on sale, like this slightly distressed pair. Happy Monday y’all! I hope that everyone’s weekend was fun & productive. On Friday night we went to a Mardi Gras party to announce & welcome our krewe’s new royalty. They are a great group & I am so excited about the season! We spent lots of time relaxing on Saturday. Yesterday we cooked dinner for our fathers & it was a huge success! My father is usually the chef in the family & it was nice to treat him for a change. Today is the first day of summer, although we’ve had a few weeks of sweltering heat already. The start of summer means that the Fourth of July is right around the corner. I love having a long weekend to spend time with friends, lay by the pool, & eat good food! 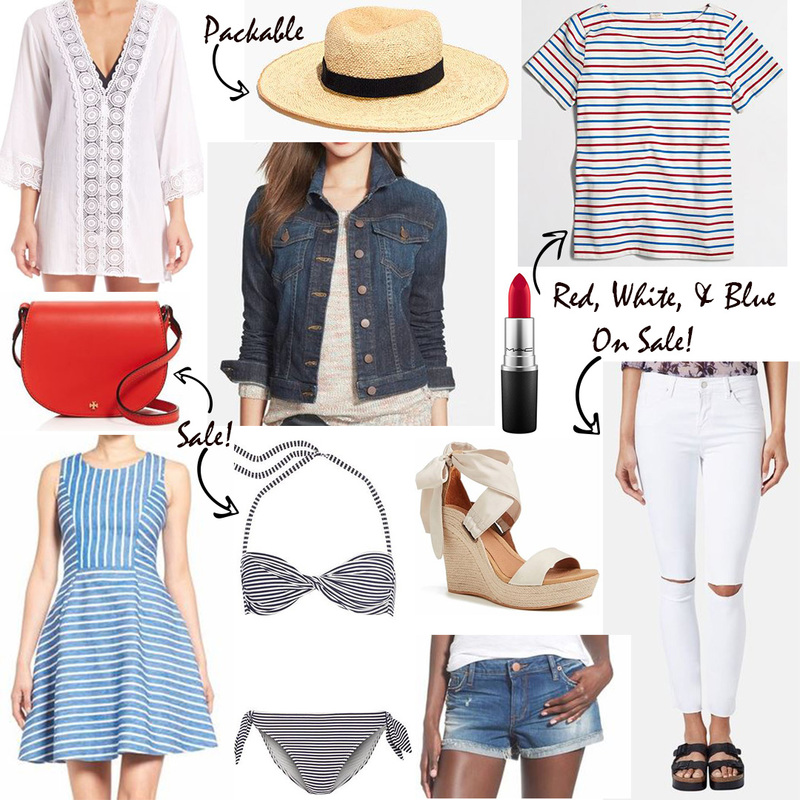 I’ve rounded up some of the best red, white, & blue options for your holiday weekend, no matter what your plans are. Is anyone else ready for the long weekend?!? I am looking forward to lots of downtime, crawfish, & friends over the next 3 days. 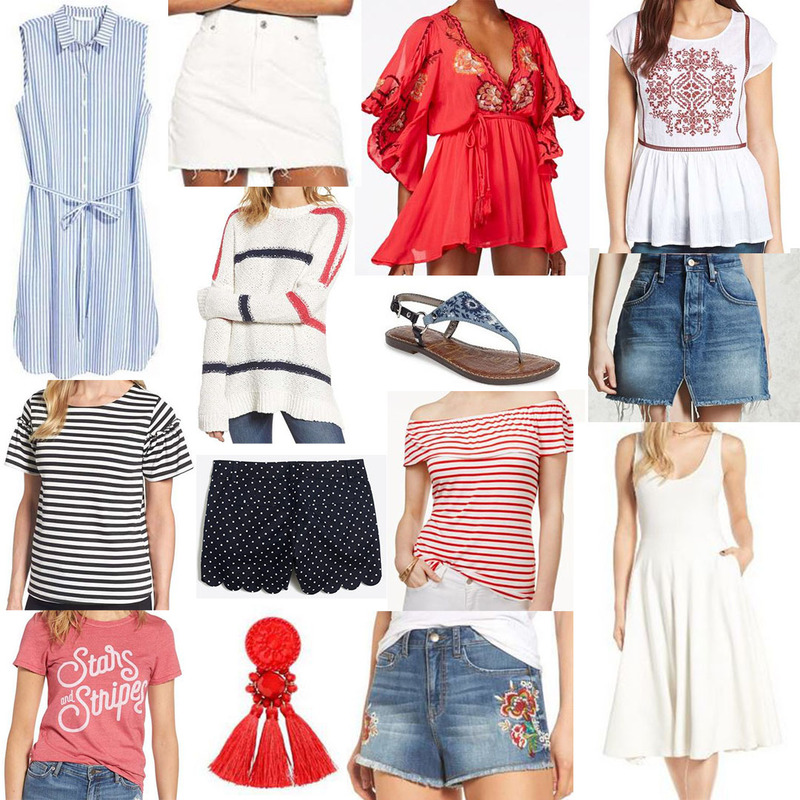 To help get ready for the holiday weekend, I’ve gathered some of my favorite summer items to keep you in style no matter what your Memorial Day plans are. 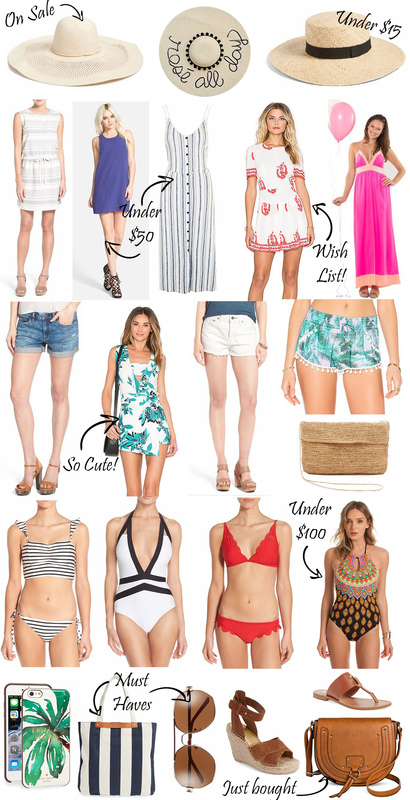 There are so many great sales going on right now & a lot of these items are included, so there’s no excuse not to stock up for summer!